If you want to prepare an absolutely perfect one and one-half ounce shot of espresso – a solo espresso shot – then you need to follow very specific directions every step of the way. Remember that an espresso is simply a grind of coffee, any single origin coffee with any roast can be used as long as the grind allows for the proper extraction time. The first thing you need to do is pre-warm a demitasse so you can pour the espresso shot into it. Of course you will need an espresso machine. 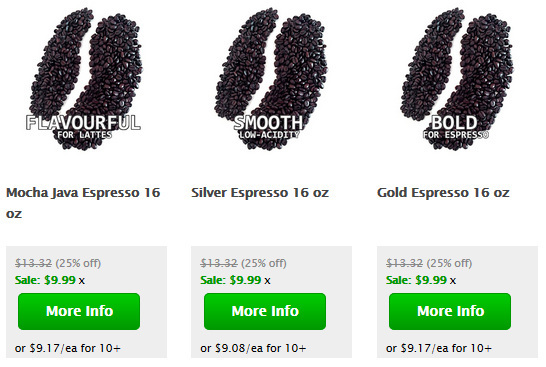 Now prepare your espresso beans, which ideally is a high quality coffee that has been taken care of along its journey. In other words, the espresso beans should have been processed properly and then roasted the day before it was shipped to you in a valve-sealed bag (unless you know a roaster and then you can pick it up directly). Once you get the coffee make sure it is stored properly, kept dry, and put in a cool place but not in the refrigerator or freezer. It should also be kept in a dark place as sunlight can harm the coffee’s fine flavors. Make sure to grind the gourmet coffee using a burr coffee grinder, and do this just before it is used. The best type of burr grinder to use is a conical burr grinder. You will need about two tablespoons of ground coffee, or about eight grams, for a single espresso shot. See our section on grinding for a complete description of the proper way to grind the coffee. This is very important to get a proper espresso. (See Grinding Coffee For Espresso). Before you start the espresso shot make sure and also pre-warm the espresso machine’s portafilter by running it under hot water. Some espresso machines will heat the portafilter automatically. This is important because if it is cold then the metal of the portafilter can lower the espresso’s brewing temperature preventing it from extracting properly. The best way to pour (pull) an espresso is to allow it to pour directly into the pre-warmed demitasse from the pour spout of the espresso machine. Make sure to leave it on the warming element right up until you’re ready to use it, then place it into position. Okay now you are ready to fill the portafilter up with the ground coffee. Use a very even twisting motion as you push down on the coffee grounds to tamp, or compact, the coffee grounds using the tamper. Once everything is ready and the portafilter is clamped into the machine, the pre-warmed demitasse is in place and the portafilter has also been warmed, then hit the brew button of the espresso machine. Within just a few seconds the brewed espresso will start to come out in a steady stream. The color of the espresso at this point should be very similar to maple syrup. The art and science of espresso brewing now requires you to make a very subtle calculation and decision on how long to brew the espresso shot. While a typical espresso brewing time is 22 seconds, the actual time for your perfect solo espresso shot could vary depending on certain factors. 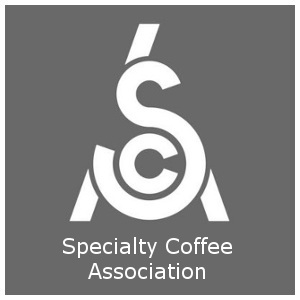 Most importantly, end the extraction process at just the right time to avoid an over-extracted or under-extracted espresso shot. The key here will be getting the grind of your coffee right, plus the pressure you use when tamping. Over tamping or too fine of a grind will lead to a watery pull coming too slow because the water gets clogged. Too fine of a grind or under tamping will lead to a watery shot that comes out too quickly because there’s not enough contact time with the coffee grounds. The main thing to avoid is extracting too much bitterness from the ground coffee, though still making sure to fully extract the coffee’s aromatic oils and its fine tastes. The general rule is that if you brew the espresso shot for too short of a time then it will not achieve its full flavor, though if you brew it too long you may extract too much bitterness and taint the solo espresso. The resulting espresso should be a very concentrated espresso shot, not watery or weak and also not overly bitter. If you get 20-25 seconds for a 30-ml (1 fl. oz) shot, you’re in the right territory. Remember that most of the “bitter” components come from the end of the shot. The primary factors affecting your perfect espresso shot include: how much pressure your espresso machine is generating; how hot the brewing temperature is; and how you ground your coffee (whether you used a burr coffee grinder rather than a blade grinder, and how fine you ground the coffee). The perfect amount of time for the espresso brewing depends upon these factors. You’ll want to familiarize yourself with the 3 Layers of Espresso – the Crema, the Body and the Heart. Also important is the initial quality of the coffee, how fresh the coffee is, whether it was stored properly, and whether the roastmaster did a good job roasting the coffee for your espresso brewing. Make sure the coffee was roasted very recently and transported in a valve-sealed bag. The grinding should occur immediately before the brewing. Again, don’t forget to pre-warm the demitasse and portafilter. All of these details are important for creating a premium espresso shot. One thing to keep an eye out for is the acidity level of the coffee – a low acid coffee can result in a rather bland flavour while a higher acidity espresso bean will shine through much better. Watch the stream of espresso as it emerges out of the spout. If the espresso is streaming out too slow then perhaps you ground the coffee to fine, or perhaps you compacted it too much. Changing one or both of these items can help to fine tune the shot so it streams out properly. If you allow it to flow very slowly the result will be an espresso shot that is over-extracted, and it will likely be very dark and perhaps bitter. Conversely, if the espresso is streaming too swiftly out of the spout then perhaps you did not tamp, or compact the coffee sufficiently. The other thing to check is whether you ground the coffee at too large of a particle size. Change one or both of these things to fine tune the espresso shot so it streams properly out of the spout. If you allow it to stream too fast then it will result in a water or weak shot due to under extraction. The espresso shot will be about one and one-half ounces when done, but when it just about one-third done, or only about one-half an ounce, then you will notice that a light brown layer of crema will start to form on top of the espresso shot. The crema of the espresso shot contains the coffee’s finest tastes and aromatic qualities so it is important to form a proper crema, which is a foam of oils that are comprised of very fine cells. When the espresso shot is about two thirds complete, with about one ounce having streamed from the espresso spout, then the layers of the espresso shot should be separating. Inspect the color of the espresso’s body and make sure it is not too dark before it has even finished brewing because this may be a sign that the espresso will have taken on an unpleasant burned taste due to overly compacted grounds or too fine of a coffee grind size. The heart of the espresso shot should not be too light colored such that it blends with the body of the espresso shot. This is a sign that the espresso shot will be too watery and weak and can be remedied by compacting the grounds more or using a less course coffee grind size. When you experiment a bit with your particular espresso machine and control all of the variables while following all of the other instructions from the tamping pressure to the extraction time then you too will be able to pull a perfect espresso shot with a very intense flavor enhanced by just the right amount of sweetness. The caramel-colored crema on top should exude the fine aromatic properties of the gourmet espresso coffee. Also make sure you are using the proper espresso grind size and follow the Technical Specifications for a proper espresso. you should put a recipe on this website!!!!!!!!!!!!!!!!!!!!!!!!!!!!!!!!!!!!!!!!!!!!!!!!!!!!!!!!!!!!!!!!!!!!!!!!!!!!!!!!!!!!!!!!!!!!!!!! On my classic Gaggia machine, I will place two shot glasses under the Portafilter and without fail, the shot glass on the left will fill to the line quicker than the one on the right. I Tampa evenly, I’ve even tried tapping using my left hand just to see if that made any difference. This just confuses me. Anyone? Bueller Bueller? The first thing I’d recommend checking is how the water flows with the portafilter not attached – is the water flowing unevenly from the screen itself? Even subtle differences in the surface level will tend to push the shot to one side or another. It may be worth picking up a convex tamper to “force” the water to pool into the middle of the portafilter. Check the exit holes on the portafikter for uniformity to ensure both are the same size.